Keep Texas Beautiful (KTB), a statewide grassroots environmental and community improvement organization, recently named South Padre Island as a Gold Star Affiliate. 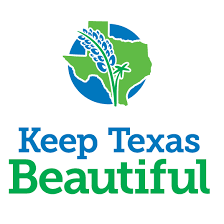 KTB works with governments, businesses, civic groups, and volunteers to ensure that every Texan has the opportunity to take individual responsibility for making Texas the cleanest, most beautiful state in the nation. Gold Star recognition is the highest status any community affiliate can achieve. The Environmental Health Services Department (EHSD) and the Parks & Keep South Padre Island Beautiful Committee highlighted their beach cleanups and how the Litter Patrol Program is utilized during the summer months to educate beach-goers on the importance of being litter-free and leaving only footprints behind. Also, the partnership EHSD has with the Point Isabel Independent School District to educate students on green initiatives with emphasis on recycling that includes a bottle cap collection contest was highlighted. To achieve this status, affiliates must share information on their mission and goals, answer questions about their educational programs and solid waste initiatives or participate in the Keep Texas Beautiful or Governor’s Community Achievement Awards programs and provide a letter of support from their community. Affiliates must also participate in a KTB event, demonstrate community-wide support and contribute to the sharing of best practices. KTB formally recognized Gold Star communities during its 51st Annual Conference in Georgetown, which was held June 11-13, 2018. Fins to Feathers is starting a non profit organization called Fins to Feathers Environmental. Our dream is to obtain the land next to Long Island Villiage and form it into a wildlife sanctuary, safe harbor for dolphins and turtles, as well as promote and protect the grass beds already growing there. We would love to build a walkway where visitors and locals could enjoy wildlife. Get with the local colleges and have them help us come up with a map and plan for the island. Is there any rss or help we could receive to make this dream a reality.